Mortal Kombat 4 (AKA MK4, モータルコンバット4 in Japan) is a 3D fighting video game developed by Midway (Eurocom) and released by the same company for the Nintendo 64 (N64) system and others in 1997. It is the fourth installment in the Mortal Kombat series of fighting video games. The Mortal Kombat series has come quite a long way since its release. Now it’s one of the world’s most loved and enjoyed games, and has gained huge success in both arcade and home systems for its extreme gore and lighting fast engine. 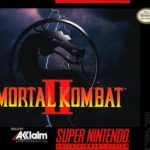 Relative to its three 2D predecessors, Mortal Kombat 4 has made the biggest step the series has ever made by going 3D. For those wondering if going 3D could ever make a difference in terms of gameplay and if the fourth installment’s even worth it, here’s a quick review of the game. You could say goodbye to choppy animation, fighters with only one or two moves, and half-assed fatalities, because Mortal Kombat 4 is switching things up. By switching the port from arcade to PlayStation and Nintendo 64, moves could be pulled off faster, and the response rate is instant. The gameplay itself is also fast and furious—you could pull off multiple combos and specials with ease at an impressive framerate. Going 3D was a huge leap in the right direction for the series, considering the cheap looking animation the previous versions offered. If you’ve ever been annoyed by the ancient, 2D graphics and the weird, high-pitched sound effects of previous games, you can say goodbye to all those now. With Mortal Kombat 4, you can now see realistic looking blood and smoke, moving background animation, and texture-mapped figures. The whole game is a feast for the eyes, with improved graphics, new weapons, and new secret characters. While the game has transitioned into 3D graphics, it still doesn’t provide the experience of being in a fully 3D world. A standard 3D button for strafing in and out of the screen is provided, but it really isn’t needed and it doesn’t do much. It would have been better if they spent more time developing the game and went full 3D in terms of movement. In a nutshell, the gaming experience is pretty standardized—you’ll get more or less the same storyline from each game, with the same fatalities and the same amount of bloodshed. It isn’t exactly the best fighting game out there, but it’s definitely impressive. Mortal Kombat 4 game has been ported to Arcade, PlayStation, Nintendo 64 (this version), PC, Game Boy Color, and Sega Dreamcast (Mortal Kombat Gold). But you can always play it online here, on our Retro games online website!